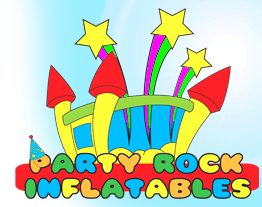 Thank you for visiting Party Rock Inflatables website! 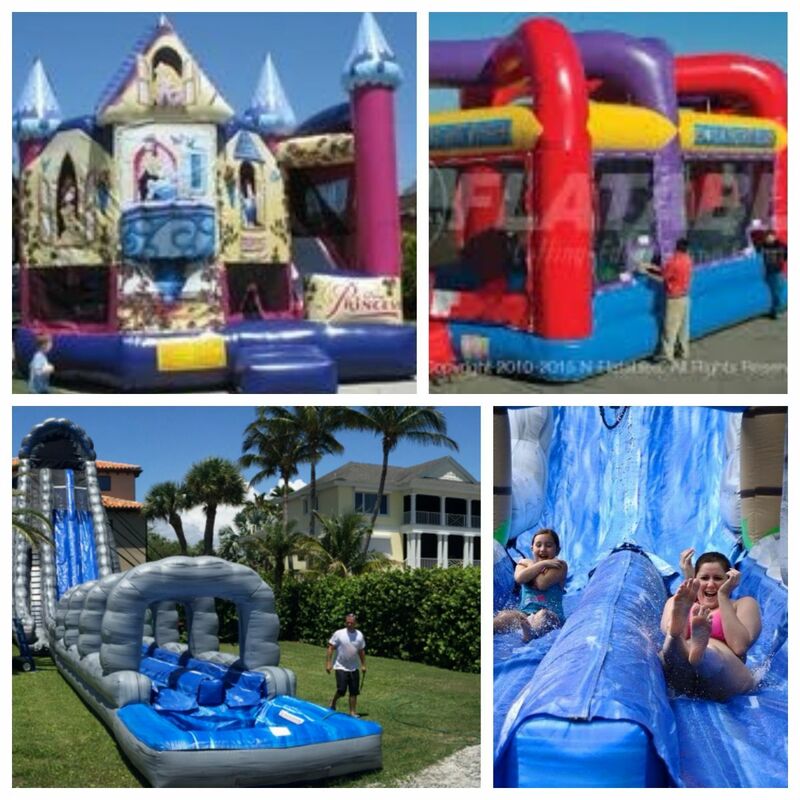 We are your number one source for clean, safe and fun inflatable rentals in Sarasota, Manatee, Ellenton, Parrish, Lakewood Ranch Myakka City and more! 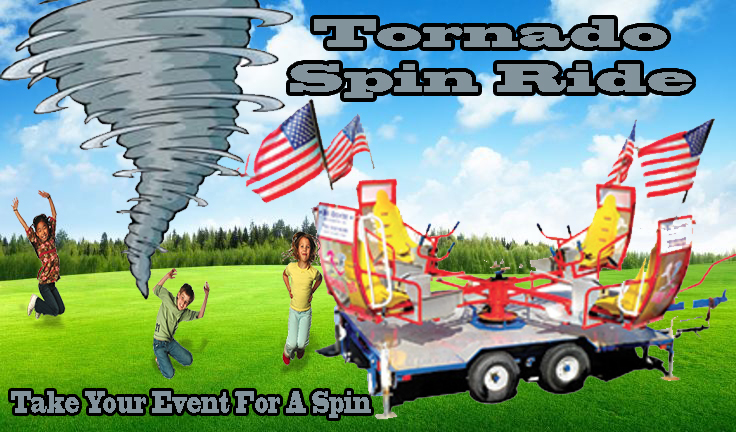 With our incredible selections of inflatable water slide rentals and fun dry rentals like obstacle courses, interactive games, combos and dont forget about the biggest and best hard rides in town like rock walls, bungee jump, mechanical bull, shark or motorcyle, zip line and much much more! We are the best source for one stop shopping for all your event needs.With Inflatable water slide rental season finally here we are proud to have the best selection around. from out 40' Roaring River water slide rental to our colorful castle combo with water slide rental we can accommodate any age group. 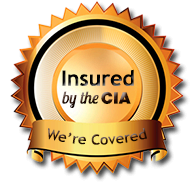 Unlike many of the companies servicing the area we are fully licensed and insured and always make our customers safety our top priority. So as you look around if you see an inflatable water slide rental or any inflatable rental or hard ride that you like, please book online or give us a call! And for your convenience, you can book your inflatable rental online 24-7 on our fully-automated website with real-time availability of our inventory! Of course, you can always call us at 1-888-386-3865 if you have any questions as we are always here to help! 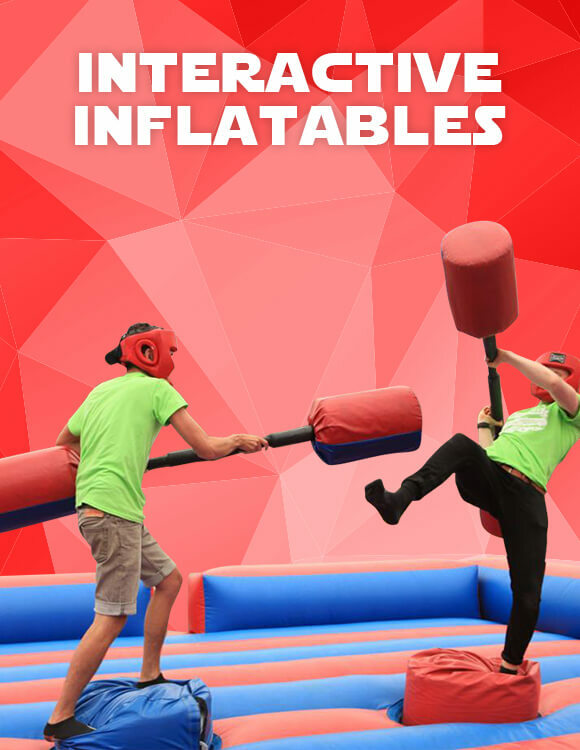 At Party Rock Inflatables we never charge for delivery/setup and pick up/tear down. We do have minimum orders in the Arcadia, North Port & Charlotte county areas but no hidden fees ever! These are the following areas that we service: Sarasota, Venice, Englewood, North Port, Bradenton, Palmetto, Ellenton, Parrish, Arcadia, Myakka City. You should also know every rental unit from Party Rock Inflatables gets inspected, cleaned and disinfected after every use. You can be confident we’ll treat your event as if it were for our own family. That's just part of the deal when you're one of our Sarasota and surrounding area customers. That's what folks have come to expect from Party Rock Inflatables; great bouncers, cool party equipment & games, and service you can trust. Check out delivery information on our service area page. Just like at the theater! 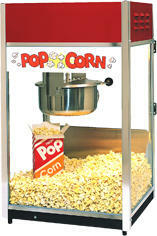 Our popcorn machine is just what you'll need to make your event extra special. This popcorn machine is perfect for everything from carnival parties to movies nights. One batch servers 30 1.25 oz bags of popcorn and purchase additional supplies at reasonable rates. At Party Rock we not only have you covered with great bouncer rentals, but you'll also find a large selection of tent, table, and chair rentals as well. Make sure everyone gets a seat at the table for you next event. Whether it's extra table space for food service or or just a few extra chairs, you'll find just the right mix here!